GW Lives! on C-SPAN TV at GW "Man of the Millennium" Book Festival. This all day book festival was conceived, coordinated and conducted by the Aide to General George Washington, James Renwick Manship, Sr., the General's neighbor in Mount Vernon, with the aid of "Colonel" Harrison also of Mount Vernon, and "Colonel" William Federer, then a candidate for Congress from Saint Louis, Missouri, and the author of the wonderful reference book "America's God and Country Encyclopedia of Quotations". 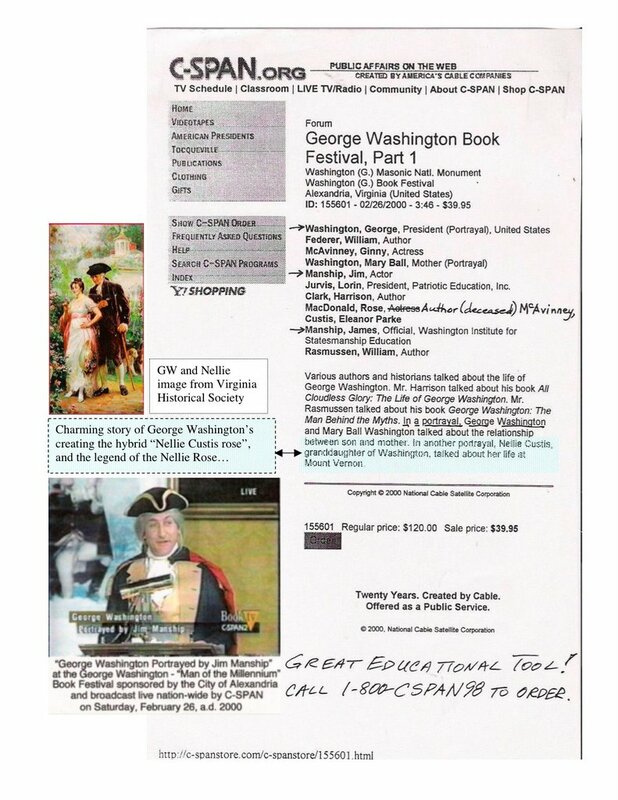 "GW" says "This is a book that next to the Bible should be in every American's library, or on their bedside table." Manship at the time was a Member of the Mount Vernon Board of Visitors appointed by Governor James Gilmore. The next day George Washington LIVES! 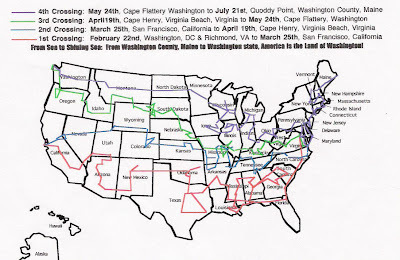 set out on an All Across America Journey, by George! going over 30,033 miles in five months, four times from Sea to Shining Sea, to each of the lower 48 state capitols, the 33 counties named for George Washington, and many of the 121 villages, towns, and cities named for America's greatest hero, and greatest President, George Washington!